If anyone has more information on the missing names please let us know. Does anyone know the year? I'm the initial-less Henderson in the photograph currently on display on your excellent Caithness web-site - George Robin so GR but usually known as Robin hence R would be good if you update things. I'm afraid I can't help with any of the missing names but I do believe it is the S(? 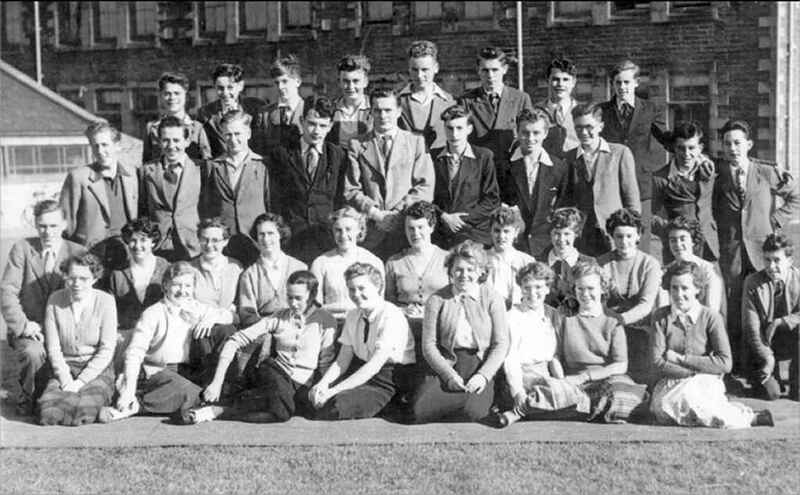 )3 Third Year class of Session 1954-55. At that time I lived at 8 South Road in Wick and my father, George, was "The Maister" at Pulteneytown Academy. The year 1955 sticks in my mind for two reasons. Major snowfalls early in the year - I recall a farmer heading into Wick along South Road on the back of a Clydesdale horse and friends (Dave Mackay included, who brought the photo to my attention) and I used to walk up to the airport to watch the helicopters taking off with supplies to places such as Braemore which were cut off. An absolutely superb summer followed and Scout Camp at Sciberscross, near Rogart, was memorable.